Feel even better about your fitness with this stylish range of gym and running wear from The Royal British Legion. 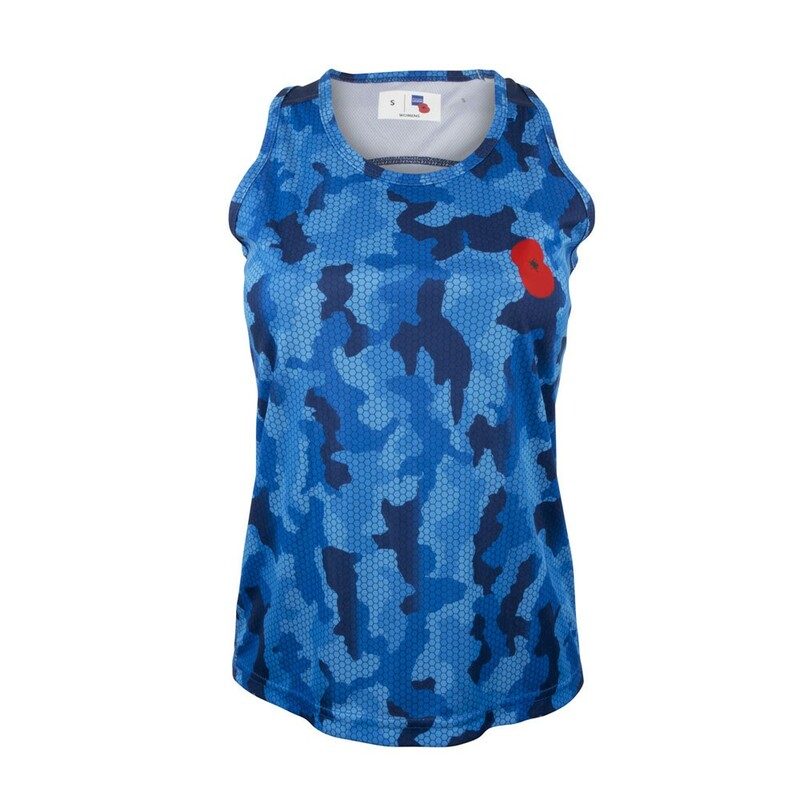 The range, which features ladies’ running vest and leggings, showcases the latest TRI-DRI lightweight, breathable wicking fabric and utilises stretch material for a greater range of motion. All items have a fitted feel and camouflage design, which features The Royal British Legion’s iconic poppy motif. All profits raised from the products’ sale go directly to The Royal British Legion and their important ongoing work in providing care and support to all members of the British Armed Forces, past and present, and their families. The Royal British Legion’s new Camo Sports Range is available exclusively from the Poppy Shop (www.poppyshop.org.uk), where prices start at £19.99. 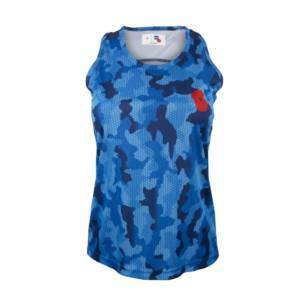 Professional quality, high performance Sports vest in Royal Blue Camouflage. Tri-Dri Sports T-shirt, keep fit for a good cause with this sports performance wear. Lightweight, breathable wicking fabric, perfect for the gym or out running. Fabric: Machine washable 100% breathable polyester (wicking fabric). Available in ladies sizes XS to XL. Product review – This top is just Fab! Very comfortable, excellent quality and eye-catching design. The Red Poppy on the camouflage really stands out. I am honoured to have been asked to trial this running top and very proud to wear it on my runs. 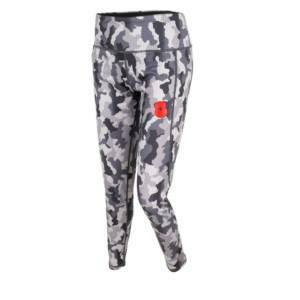 Tri-Dri Sports leggings, keep fit for a good cause with this sports performance wear. Lightweight, breathable wicking fabric, perfect for the gym or our running. Product Review – Lovely fabric very soft and comfortable, the waist is the perfect height but could do with a drawstring on the band. Stylish design and passed the squat test. Lovely to wear at the gym or out a run. Would recommend these leggings.